While the Navy women’s basketball team prepares for March Madness, Big Apple-style, here’s a trio of offseason tidbits from the Mids on the gridiron. 1. Blue-Gold game scrapped: There will be no spring game for the Midshipmen this season, according to spring football schedule released early Wednesday. Two of the team’s scrimmages, March 30 and April 6, will be open to the public, according to the release, but fans can forget about the highlight-reel-generating, national-TV-appearing events of years past. Coach Ken Niumatalolo cited a “scheduling conflict” for the cancellation; a Navy athletic department spokesman would not elaborate on the conflict and did not know the last time spring workouts concluded without a Blue-Gold game. 2. TV deal set: The conference soon to be formerly known as the Big East announced its deal with ESPN on Tuesday, which will earn the league less than $20 million a year through 2020. 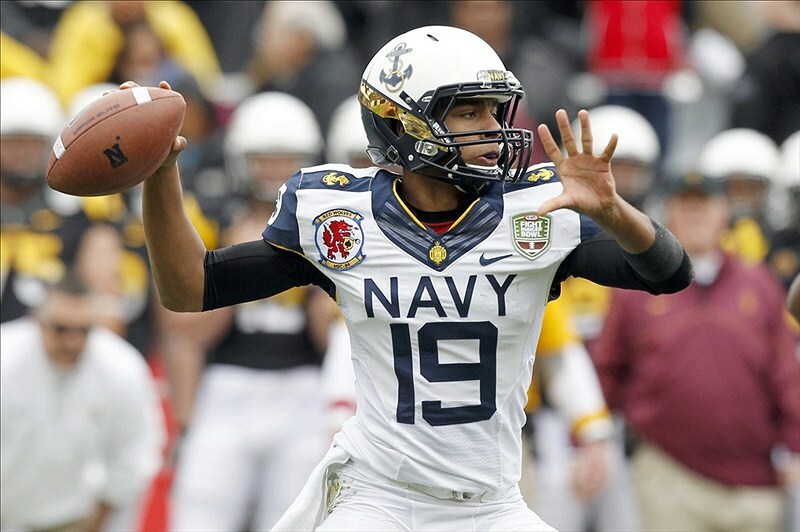 Navy will join the conference in 2015, but its home games won’t be part of that contract — at least until existing deals with CBS run out, according to a CBSSports.com report. The Army-Navy game is locked into CBS until 2018, and the Navy-hosted games against Notre Dame (which can be “hosted” pretty much anywhere) are booked for CBS until 2016, with an option for the 2018 game. Neither the league nor the school has said what Navy’s take from the Big East TV deal will be, considering the CBS contracts and the fact that the Mids are football-only members and the deal covers multiple sports. 3. Home kickoffs: Speaking of home games, the Mids have set times for all five Annapolis contests this season. The home opener Sept. 14 against Delaware will begin at 3:30 p.m., as will home games against Hawaii (Nov. 9) and South Alabama (Nov. 16). The Oct. 5 game against Air Force will begin at 11:30 a.m., and the Oct. 26 homecoming contest against Pittsburgh will be at 1 p.m. All games are set to air on the CBS Sports Network, although the Air Force contest could be moved to CBS proper at a later date, according to the Navy release.